These cork-handled chisels fit very comfortably into the palm of your hand and enable optimal force transfer. The handle length of 130 mm feels right even for large hands. The striking cap is made of impact-proof plastic. 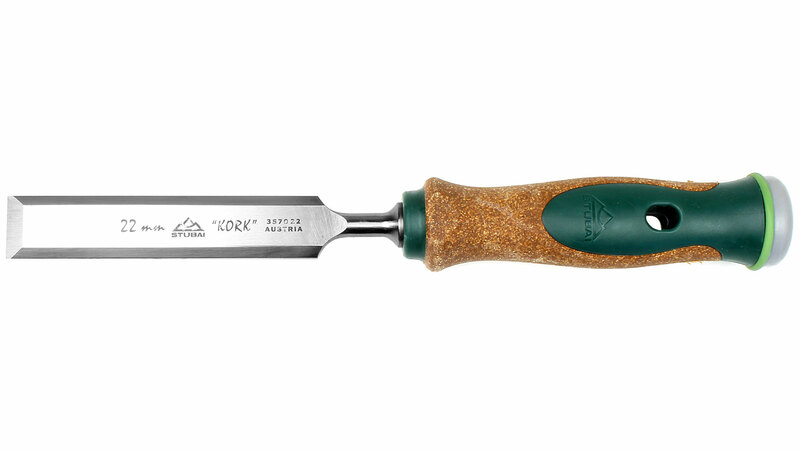 Two flats at the blade end of the handle prevent the chisel from rolling away. 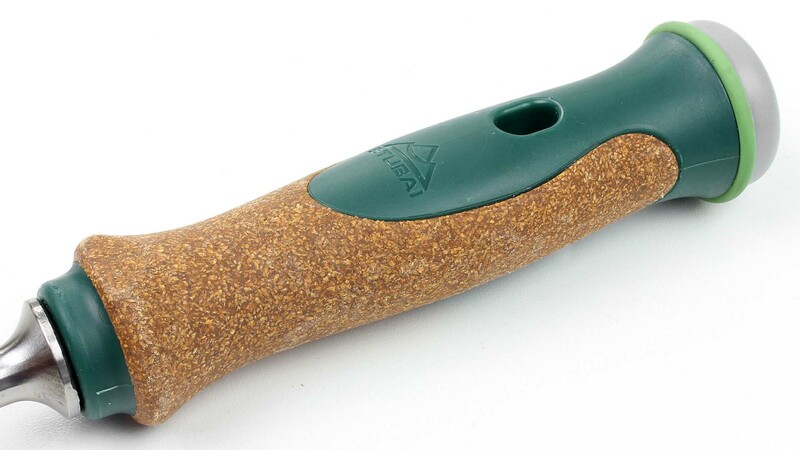 The convenient hole in the handle lets you hang it on a peg. 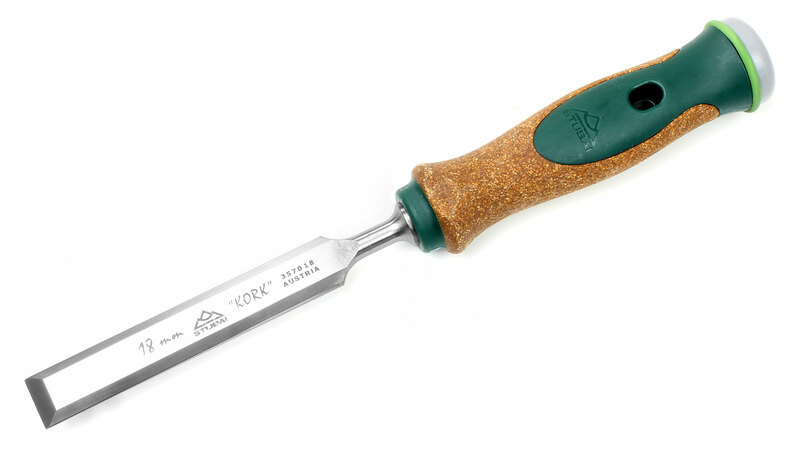 Each chisel is supplied with a plastic guard. The overall length varies from 250 to 280 mm depending on the blade width. 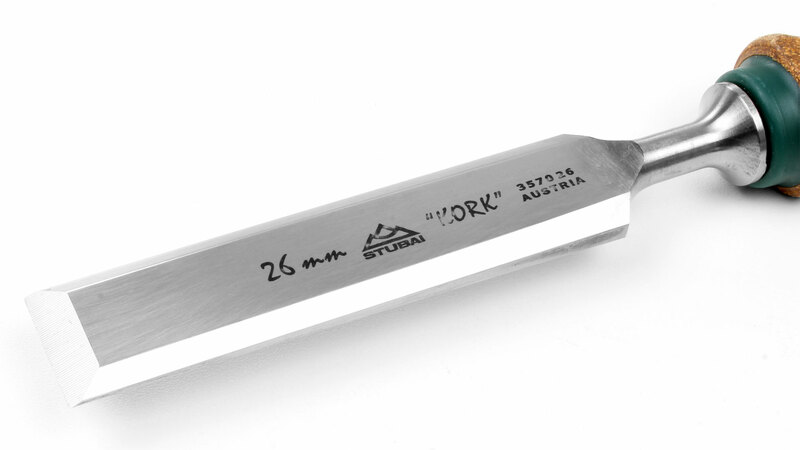 The blades, hardened to 62 Rockwell along 2/3 of their length, are made of high-strength alloyed tool steel. STUBAI Chisels with Cork Handle are available in sizes from 4 mm to 35 mm. 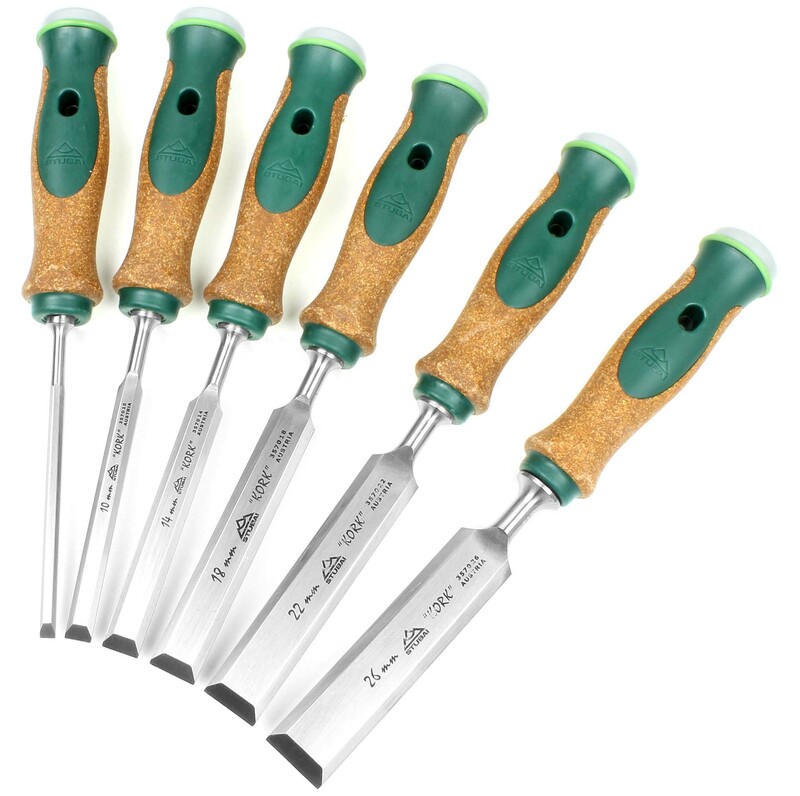 Set of 6 STUBAI Chisels with Cork Handle 6, 10, 14, 18, 22, 26 mm. 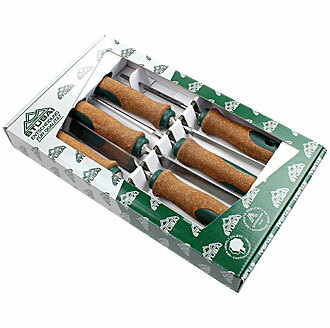 Note: Chisel guards NOT included with this set!